#55. 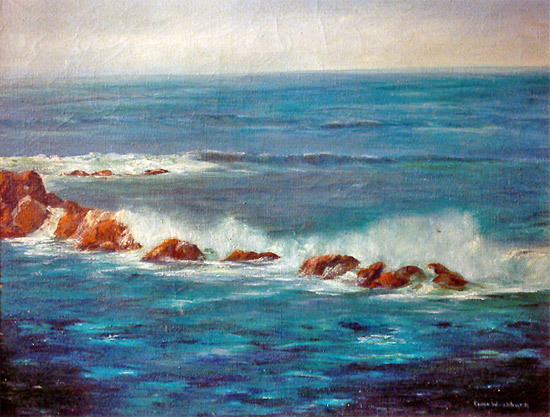 OIL ON CANVAS, SEASCAPE WITH SURF CRASHING ON ROCKS. TRAIL, YUCCA VALLEY, CA. AND STRETCHER HAS A SAN BERNADINO, CA. LABEL.